BERG work with Dentsu London as consultant inventors on the Suwappu project. Suwappu are a mix between toys and media, the physical toys are canvases upon which we can paint worlds through Augmented Reality. 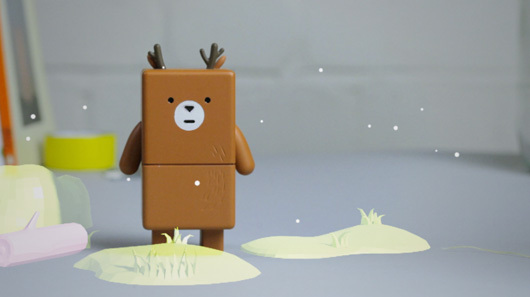 The potential of toys and media is expressed as a short film that introduces us to the first Suwappu characters: Deer, Fox, Badger and Tuna. It also shows early software experiments augmenting Suwappu with 3D worlds on a smartphone.